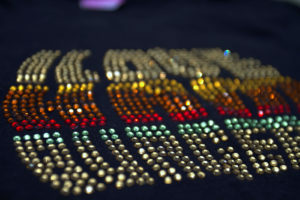 If you love dazzling rhinestone T-shirts, and we have all the sparkling bling you crave. Our unique rhinestone shirt designs are embellished with high-quality crystals, in the most compelling designs. Design your own and message us with the image or tell us what you’d like we’ll design one for you!